Nov. 29, 2011 - PRLog -- LOS ANGELES – Napoleon Bon Appétit, the cooking show with a complex, is set to conquer a host of new web platforms. Beginning November 30th, seasons one and two of the series will be released in high definition on blip.tv (http://blip.tv/napoleon-bon-appetit), YouTube, iTunes, Boxee and Roku. Napoleon Bon Appétit (http://www.NapoleonBonAppetit.com) stars Derek Houck (United States of Tara, Cataclysmo) as the famous Emperor Napoleon Bonaparte and Katherine Browning (The Carpenter) as his Kitchen Wench. Over the course of two seasons, the show has featured numerous guest stars, including former America’s Next Top Model finalist, Kimberly Leemans. Other cast members include Nicholas James, Heidi Schooler, Christine Moore, Rachel Whitman, Sasha Carrera and Robert Walters. Napoleon Bon Appétit was written by Houck. Browning serves as the producer, along with David Walters. All episodes were directed by the Accolade award-winning Mike Campbell. The series is from Black Falcon Productions and Mahatma Dragon Productions in association with Three Roses Entertainment. 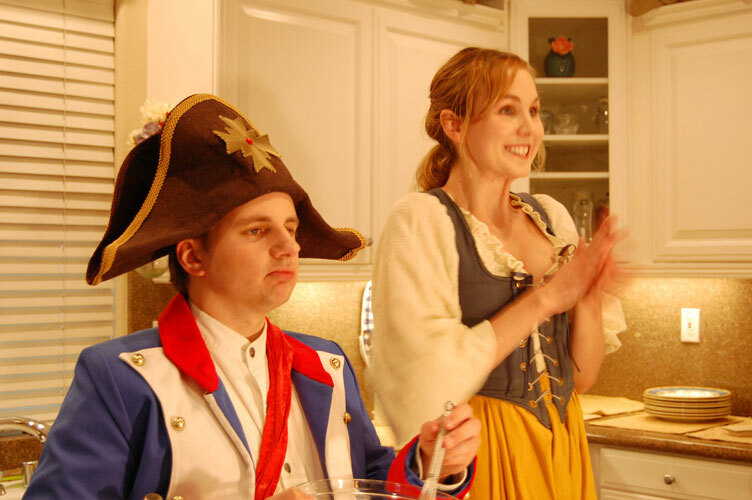 Napoleon Bon Appétit is an original web series featuring Napoleon and his Kitchen Wench as the hosts of their own cooking show. The show premiered in 2010 on Somebody’s Basement and was an Official Selection at the 2011 Action on Film International Film Festival.